Available in the Insider Preview RS5 for the Windows 10 April 2018 Update, Miracast enables HoloLens users to mirror their view to a nearby Surface device or TVs and monitors equipped with a Microsoft display adapter. To activate the function, users can select "Connect" from the "Start" menu and then select the target device. Sharing is a constant theme with the bleeding-edge release. In addition to Miracast support, the release adds the Windows Nearby Sharing function, which gives uses the ability to send photos, video, and other sharable content to other Windows devices. Likewise, the integration of a share button in Microsoft Edge lets HoloLens users share web content. The remainder of the new features available to HoloLens through the Insider Preview fall under the user interface category. The release includes a new notifications UI, similar to the PC format, that enables users to view and respond to notifications. The preview also includes a loading meter for the boot process so that users can see progress. Users may also find it easier to control video capture as well with the addition of a "Stop video" command to the Start and quick actions menus alongside the "Start video" button. Finally, the HoloLens gains new visual overlays, such as keyboard, dialogs, and file pickers in immersive apps, as well as indicators for volume changes. The update also adds some new toys for developers, namely support for the Camera Capture UI API, which can call up camera functionality from within an app, and improvements to Mixed Reality Capture. The preview build also brings some quality of life improvements for commercial and international users. With a new HoloLens reportedly arriving next year, Microsoft has been surprisingly active with HoloLens updates after finishing 2017 without a single update. Microsoft has now issued its second update for 2018, with RS4 having arrived in March. 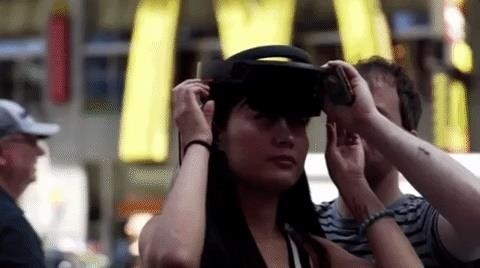 If the new HoloLens does indeed arrive in the first quarter of 2019, this might be the last update to HoloLens until then.